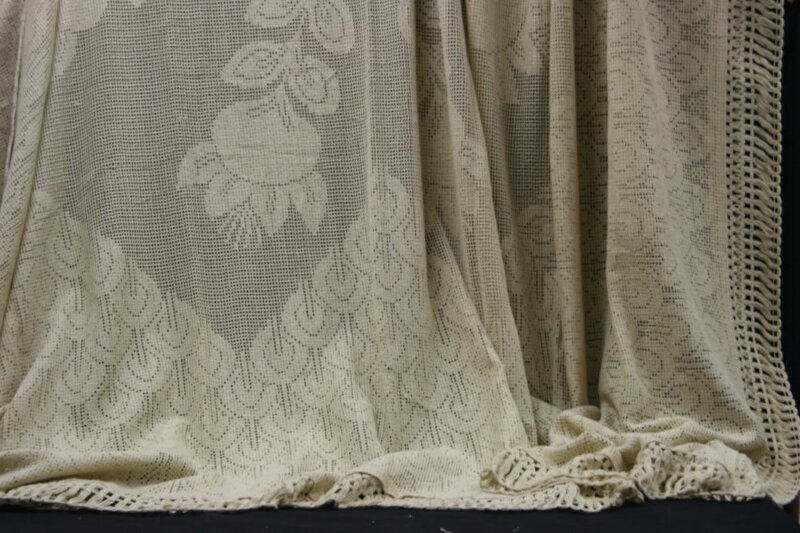 This hand loomed vintage lace bed cover can easily be converted into window covering as well. The ample size allows for a large size window, or as a functional yet unique room divider. It is well finished with fringed edges on three sides of the bed cover. 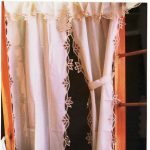 Although of a romantic lace appearance, the heavy gauge of the pure cotton thread provides astonishing privacy protection and filtered sun penetration. 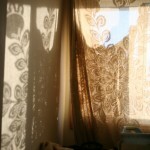 The lace effect of Peacock design casts very interesting shadows on the wall of a small laundry room, at once effortlessly creating an aesthetic environment in a very ordinary space. 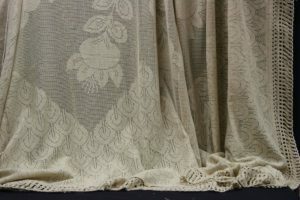 It is All in the Details, fringed lace edging on 3 sides of the bed cover. 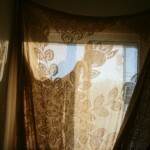 100% cotton rich, can easily be converted into a very attractive no-sew Curtain treatment. 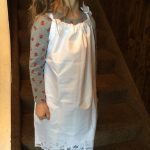 Fringed lace edges on three sides. Head side folded & sewn.